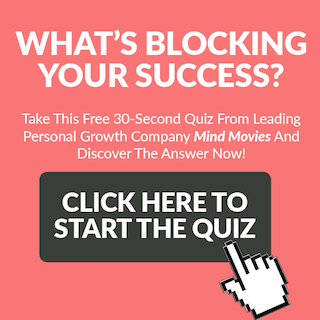 Personally Connect With The Mind Movies Community! 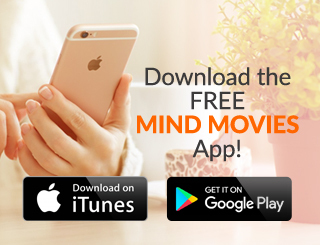 The brand new (and 100% free) official Mind Movies mobile app! But before I show you what it's all about, I want to tell you why we decided to make an app for you in the first place. But it’s the rare chance to connect with our passionate global community. No matter where you are! 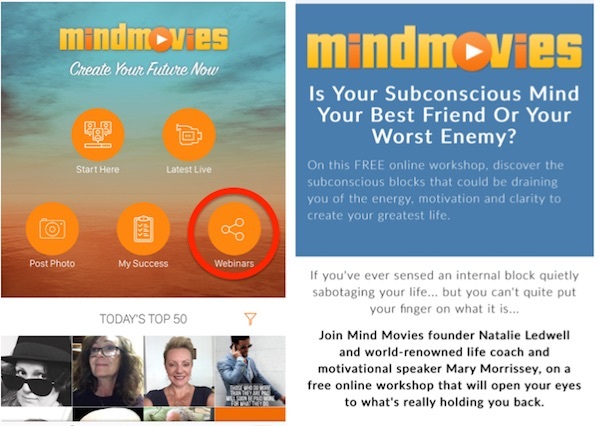 A lot of people don't know this - but when Natalie and I founded Mind Movies, one of our 'secret' goals was to simply meet more like-minded people! 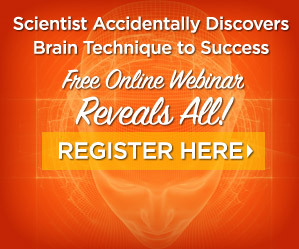 We're all deeply passionate about harnessing our minds to manifest our greatest lives. And in a world where so many people are caught up in a storm of negativity and fear - this passion is something I believe we at Mind Movies must cherish and nurture. Our tribe loves connecting with each other. 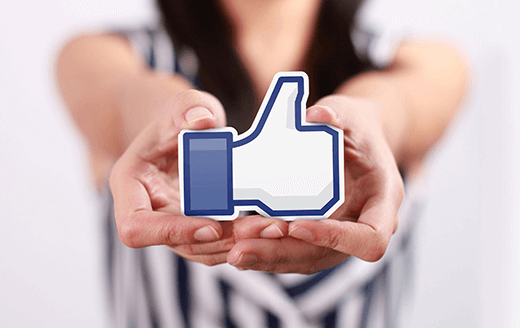 We hang out on Facebook, our private membership sites, and even at real-world events. We support each other in achieving our goals. We inspire each other with our wisdom and personal stories. We help each other get through challenging times. And we hold each other accountable as we adopt new habits and models of living. Many people tell us they found their new best friends through Mind Movies. Some have found their business partners. Some even found their soulmates. 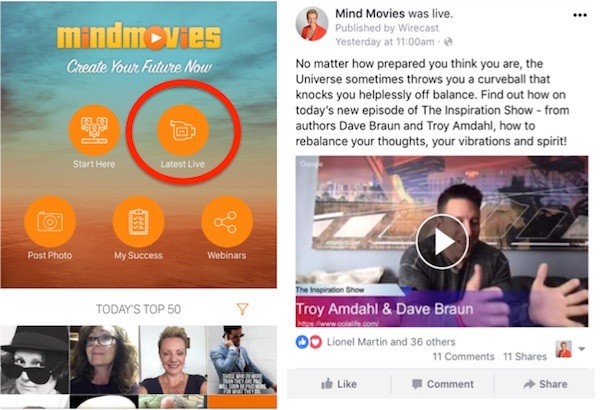 These CONNECTIONS are a magical thing - and through the brand new Mind Movies app, we want to take them to a whole new level. Because one thing we've learned over the years is: it's a challenge for millions of people to stay intimately in touch with each other. For instance, there are times when you just want to take a moment out of your day to share a thought, or a sudden epiphany, or even a cheeky photo of your healthy breakfast. Or sometimes there might be a giveaway or event the community needs to know about right away. And of course there are times when all you really want is a friendly chat with someone else in the Mind Movies tribe who gets where you're coming from, because they've been there too. You may be thinking - social media and email are good enough for that. But we disagree. Email seems less personable and platforms like Facebook are constantly changing their algorithms to make our posts less and less visible. The result is a lot of our messages for each other just get buried in a sea of white noise. 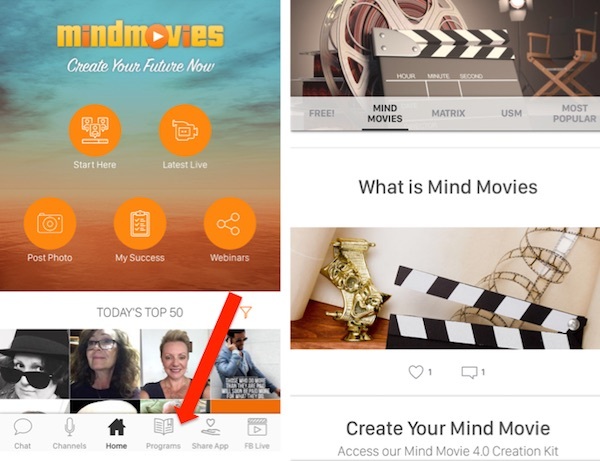 And so with the Mind Movies mobile app - our goal is to cut through that noise, so we can all keep in touch, inspire, and support each other like how real friends and a real tribe would. 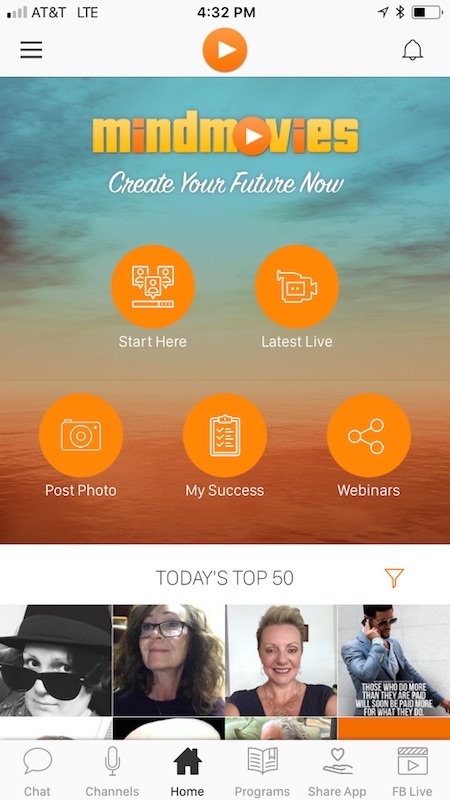 Now let me show you exactly how our new app helps you do that (you're going to love this, I promise). 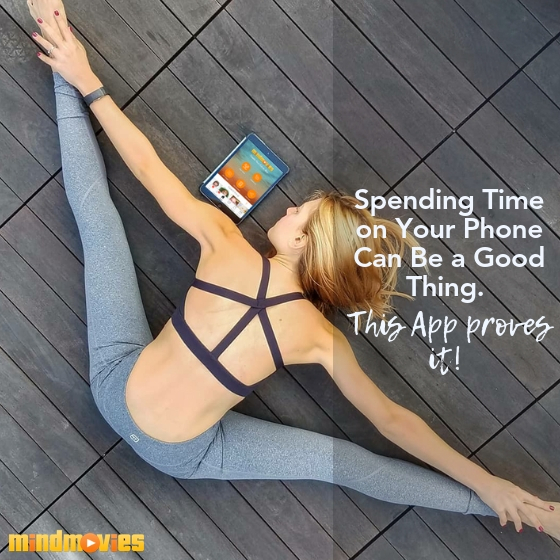 We've worked with a team of brilliant programmers and artists to create an app that keeps you consistently and intimately in touch with your global community - whenever and wherever you are. Nat is a dynamo. 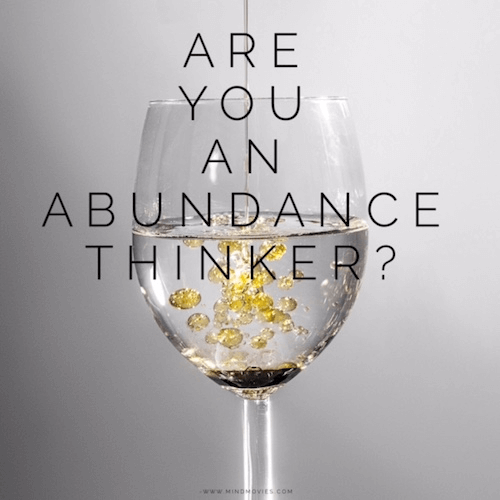 She's constantly interviewing the world's greatest minds, studying the latest neuroscience, and releasing free training videos on subjects like the Law of Attraction, visualization, meditation, wellness and more. Here you'll also find shared photos from everyone else in the Mind Movies community. Think of it as a custom social media feed, laser-focused on just the images and messages that uplift and empower you. We encourage you to contribute to this page as often as you like. Share your journey, see what everyone else is up to, and motivate them with your likes and comments. Let's give Instagram a run for their money! You may have heard of the Roger Bannister effect: he was the first athlete in recorded history to run a 4-minute mile. And after he did, many other runners began matching his record. They just had to first see and believe it was possible. 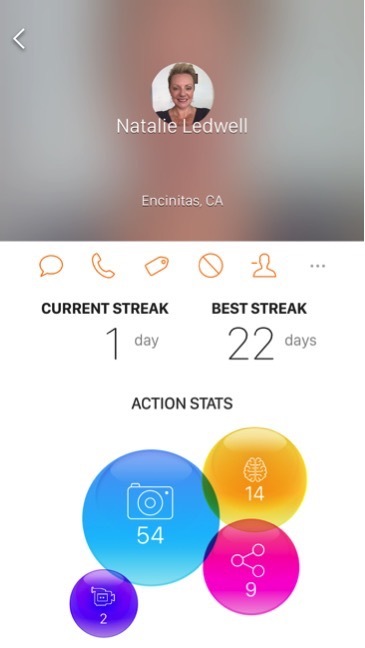 The 'My Success' feature works in a similar way. Once you start checking the Gratitude Wall daily, you'll love how much easier it gets to keep performing and achieving at your best. Webinars are still one of the most important pillars of the Mind Movies experience. There's something incredibly powerful about thousands of people from across the world, coming together at the same time to explore a certain subject in personal growth. Webinars are where many of our students experience some of their biggest personal breakthroughs - so I hope this feature helps you join us for even more of them. 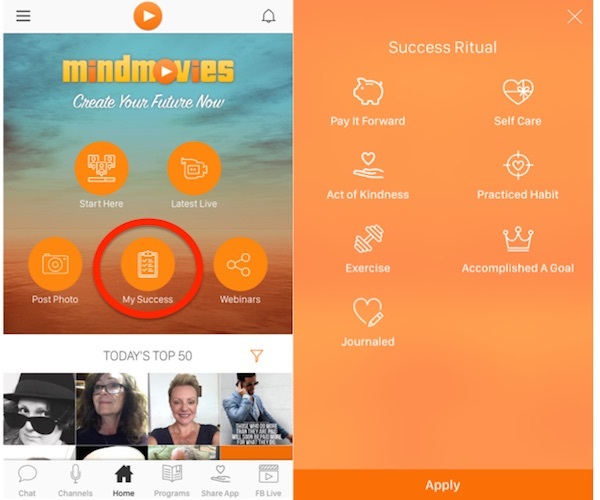 For the first time ever, you can now send messages to any Mind Movies member who downloads the app, share your personal growth progress, and make friends and alliances with people with similar missions then you! 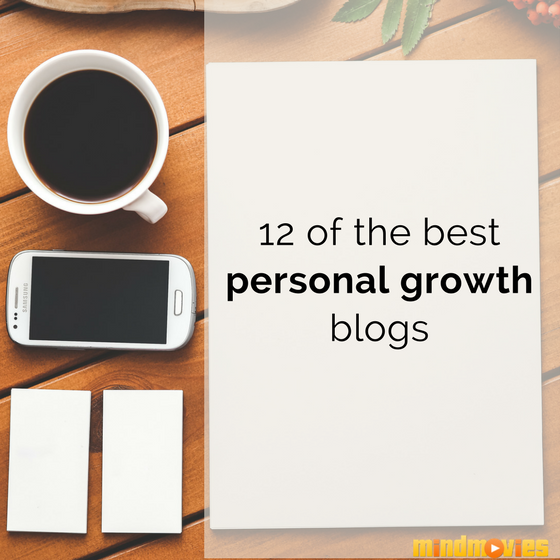 This feature is a terrific way to keep up with all our blog articles. You'll find a variety of channels here to reflect your interests - including inspiration, success, manifesting, and a whole lot more. 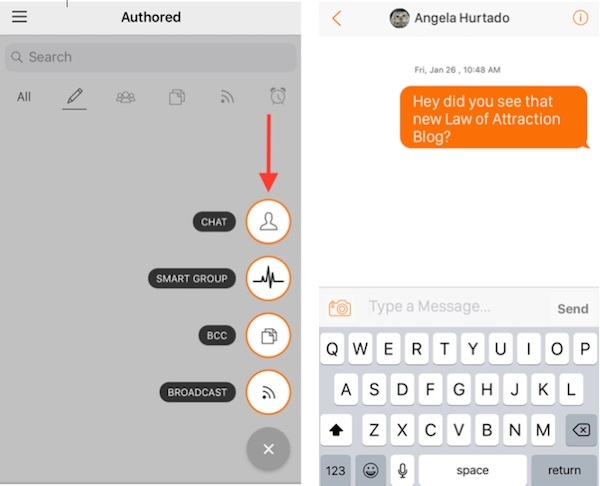 You can then choose to follow any channel you like, which activates instant notifications whenever a new blog post is published in that category. Our blog posts often include limited-time offers, secret giveaways, and gifts, so these notifications will often help you grab the good stuff before it runs out. 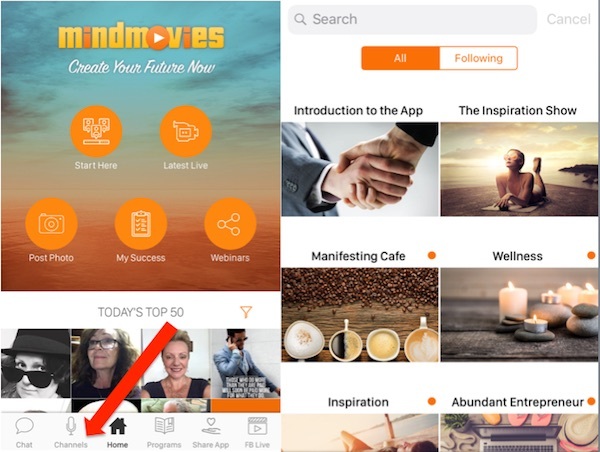 Here you'll find free courses, Mind Movies and guided meditation packs, plus special offers on our bestselling premium courses. Certain limited edition courses are only accessible during certain time periods - so again this is a great way to optimize your education path and get access to the best training while it's available. 9. 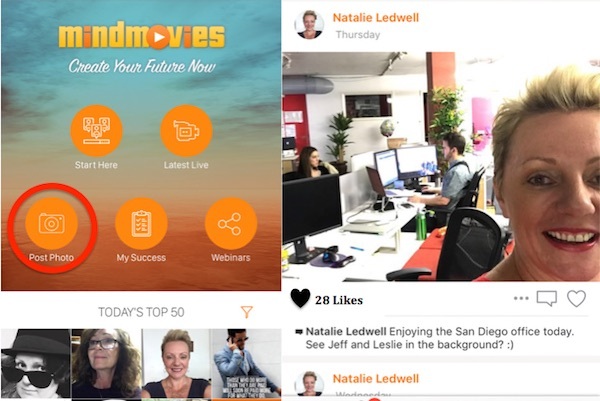 And finally, remember to pay special attention to Natalie's personal profile, which you'll easily be able to follow by typing in “Natalie Ledwell”. Nat's profile is where you'll find an intimate summary of everything she's up to: from personal musings to event updates to freebies and more. Nat also experiments like crazy with leading-edge personal growth tools and models, so you'll want to pay special attention to her journey on the Gratitude Wall - so you can try out some of her more successful experiments for yourself. The more you use the app, the more you'll get rewarded. I can't tell you too much for now as the mechanics are still being worked out: but very soon, you'll be able to earn badges, products, and prizes as you keep logging in and interacting daily. 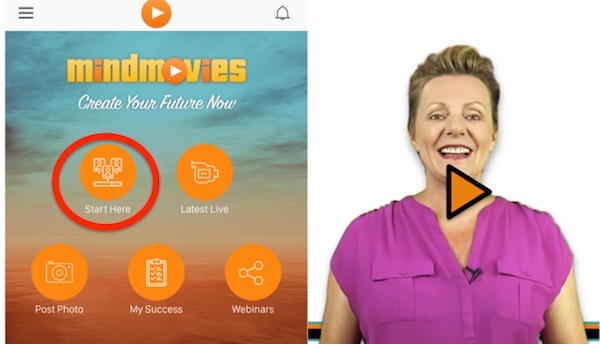 Learn more about the Mind Movies app here! Glen Ledwell is the CEO and Co-founder of Mind Movies and is the driving force behind all marketing strategies. Glen is committed to improving the lives of others through personal development tools, mentoring programs, and entrepreneurial techniques.